The Iroquois Steeplechase is run by the nonprofit, 501c3 organization the Volunteer State HorsemEn's Foundation. 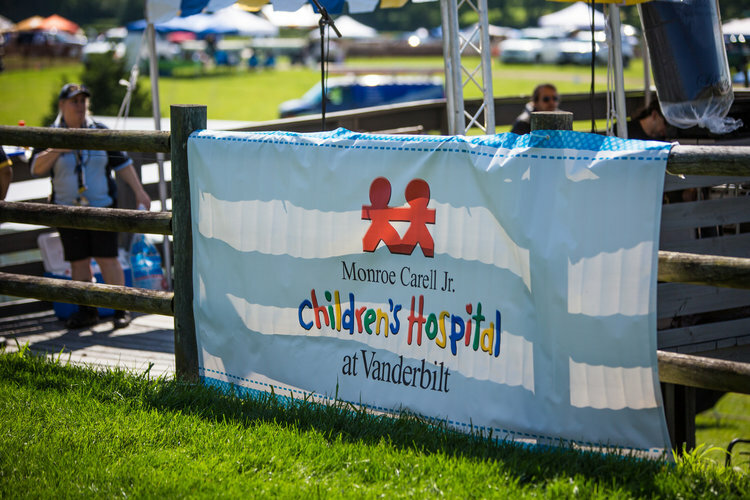 Since being designated as one of our primary beneficiaries in 1981, Monroe Carell Jr. Children's Hospital at Vanderbilt has received more than $10 million from the Iroquois Steeplechase. The Volunteer State Horsemen's Foundation is involved with the hospital year-round, contributing time, supporting endowments, and continuing the long-standing association of the event and the commitment to children. Learn more about the impact of the VSHF on the hospital in the 2018 Impact Report. The Iroquois Steeplechase also benefits many local charities and provides opportunities to preserve community traditions and assets such as Percy Warner Park. We’ve made it easy to donate through your everyday activities. Shop on Amazon? We’re a member of the AmazonSmile program where with purchases made on smile.Amazon.com, Amazon will donate a portion to the Iroquois Steeplechase charities. Donate today and help us support our children and local communities.